Black Pink apologized and gifted their fans ice cream. 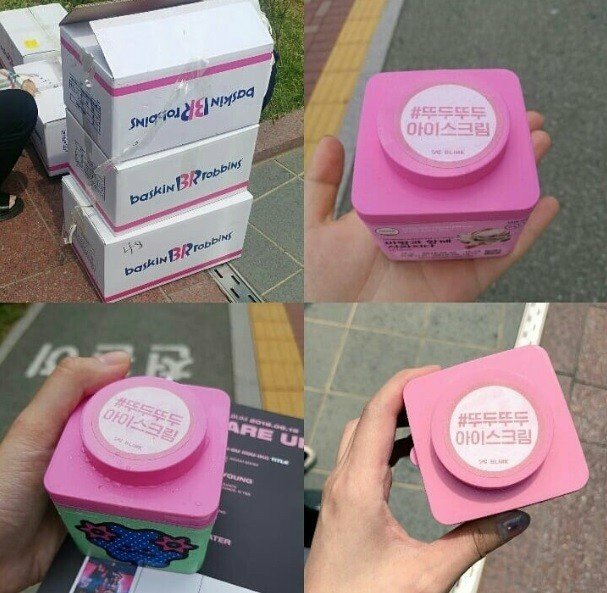 On June 23, Black Pink prepared small cartons of Baskin Robbins ice cream for the fans who came to their music show recording. 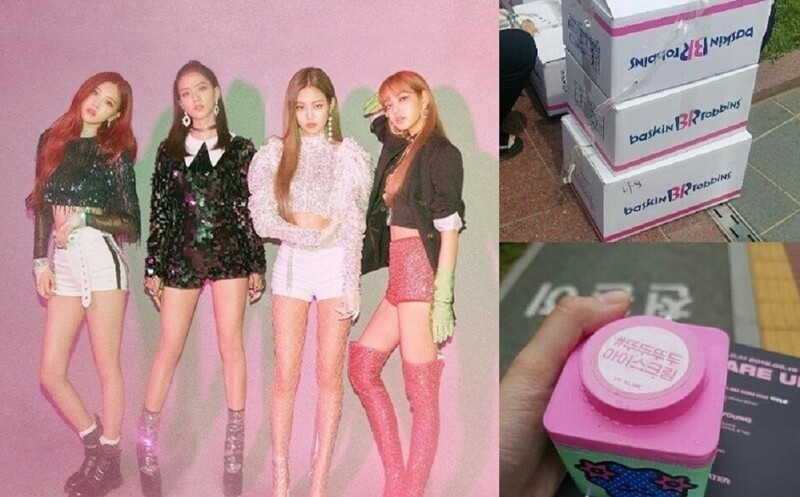 With a cute sticker that reads "#DDUDUDDUDDU ICE CREAM" as each label, the pink packaging of the ice cream seemed to symbolize Black Pink's efforts to express gratitude for 'Blinks'. During the recording, it was also reported that Black Pink apologized for the unfortunate incident that occurred on June 22 at 'Lotte Duty Free Family Festival'. Even though the technical issue from the event was not their fault, the girls still asked forgiveness from their fans. Many netizens who witnessed this gesture noted that it was "needless for them to apologize", that fans felt sorry for Black Pink for having to feel regretful. Some comments regarding this issue include, "Shouldn't Lotte be the one to give this ice cream? Why must Black Pink feel sorry?" "Black Pink members are so kind-hearted..." "Can't believe Black Pink have to clean up after other peoples' wrongdoings..."